Friends turned an obsession with Scotch into a growing Everett distillery. Three years in, they’re just now getting around to making whiskey. 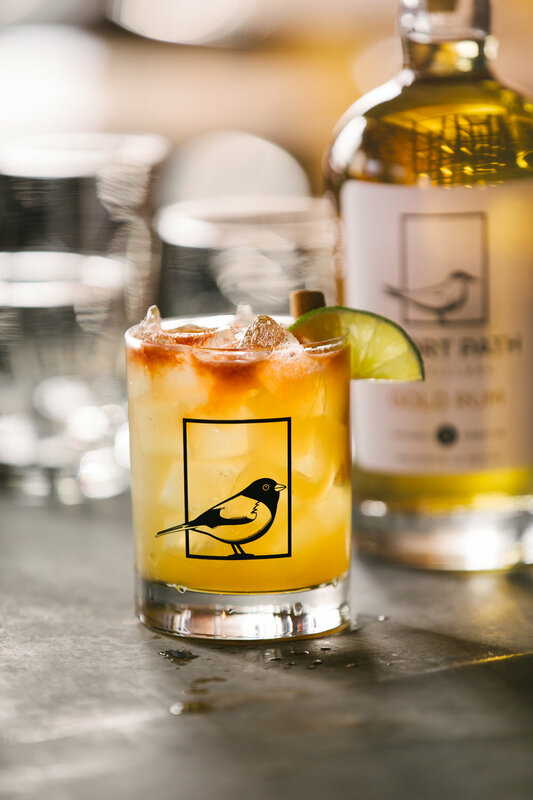 When you see the smiles spread across the faces of Matt Kurtzman and Zack Robinson as they talk about Scotch whiskey, it becomes clear that it’s why they, along with Jackson Hewlett, started Everett-based Short Path Distillery. The distillery has its earliest roots in Scotch Night, a regular gathering organized by Kurtzman, Robinson and Hewlett in 2012 to buy and sip high-end single-malts they couldn’t afford individually. They tasted some of the world’s finest Scotches, differentiating every note and aroma and building up an armchair expertise on the legendary spirit. Then, one night in 2013, after perhaps a dram too many, the trio—with backgrounds in business, chemistry and industrial engineering—began to hatch a dream. Where they are now is a 4,000-square-foot former rubber factory on Kelvin Street in Everett, nestled into the city’s “fermentation district” (Night Shift and Bone Up both brew beer within 500 feet). Short Path’s building is fairly nondescript from the outside—save for a sign displaying the distillery’s name—but inside opens up into a bar area, an expansive production floor with three beautiful copper stills and a fermentation room that will also produce Short Path’s first batches of whiskey. 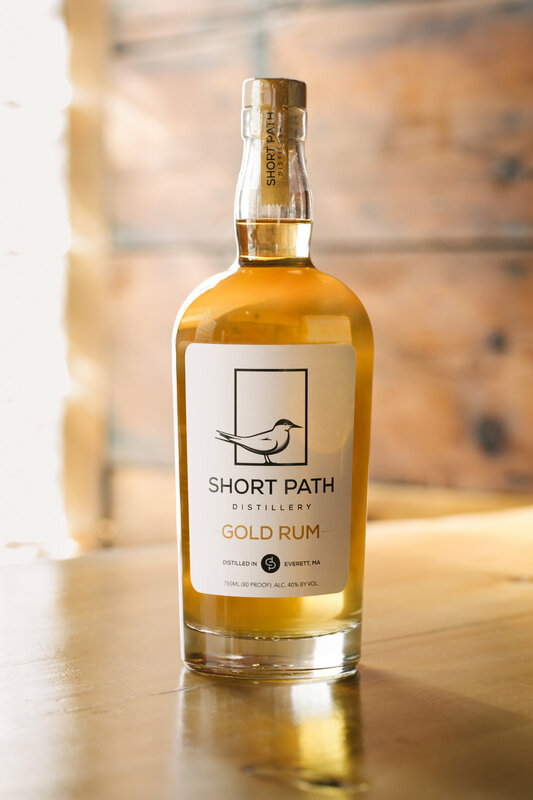 That’s right, almost three years after its launch, Short Path hasn’t sold a single ounce of whiskey. But make no mistake: Its founders want Boston to know that that changes this winter. On the day I visit in mid-October, they inform me that they’ve just today started their first batch of single-malt whiskey, and it’s being made with barley from Massachusetts-based Valley Malt. If everything goes to plan, whiskey will be rolling off the assembly line by February. Scotch-inspired whiskey may be the Short Path founders’ yet-to-be fulfilled labor of love, but the three friends have been churning out delicious and distinct spirits along their journey: a full lineup of gins; both a clear and a gold rum; an apple brandy; a barrel-aged apple pommeau; a triple sec; and their take on Greek ouzo, which uses anise as its base. Short Path has become known locally, though, for its gin. The founders spent a year making batch after batch of gin before settling on a final recipe, which features lavender and eucalyptus, along with juniper, coriander and lemongrass. It was such a hit that they launched three seasonal gins: a summer gin infused with Maine blueberries; a “pumpkin-free” autumn gin; and a winter gin with rosemary. 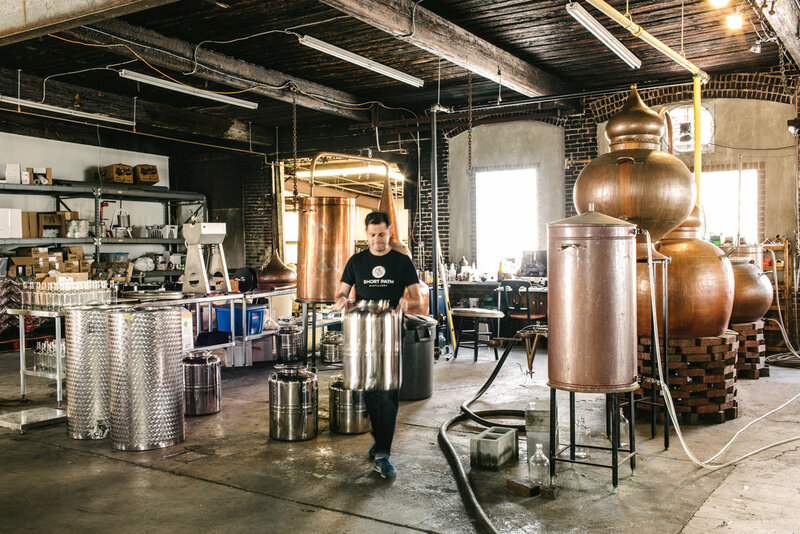 Robinson, a chemist who runs much of the day-to-day distilling, says you can taste more of the added botanicals in Short Path’s gin, which he describes as “American dry.” Working with gin has given the whisky drinker a newfound appreciation for the spirit, which he says he rarely consumed prior to co-founding Short Path—save for a gin and tonic every now and then. Short Path’s cocktail menu is constantly in flux, which is by design. Bartenders write down their ideas for new cocktails in a spiral notebook behind the bar, some of which will become the weekly special—or, perhaps, join the menu, which changes seasonally. A popular cocktail might even inspire a whole new spirit. After the runaway success of its Hibiscus Rush cocktail—gold rum, lemon, hibiscus tea, simple syrup and Pellegrino—Short Path released a hibiscus-infused rum, guaranteed to provide warmth on chilly Boston winter nights. At the center of Short Path’s mission is a commitment to community, sustainability and local sourcing. 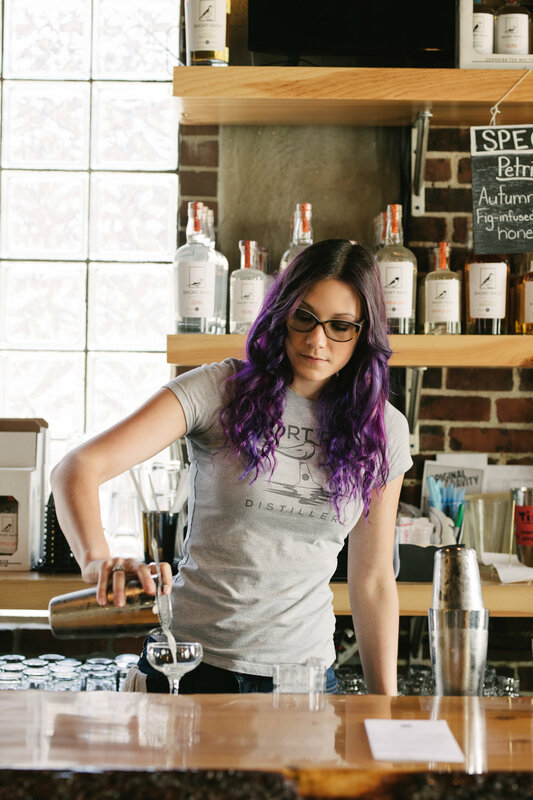 They self-distribute and even created a CSA program—community-supported alcohol—where drinkers can sample not-yet-released spirits and help perfect the recipes. 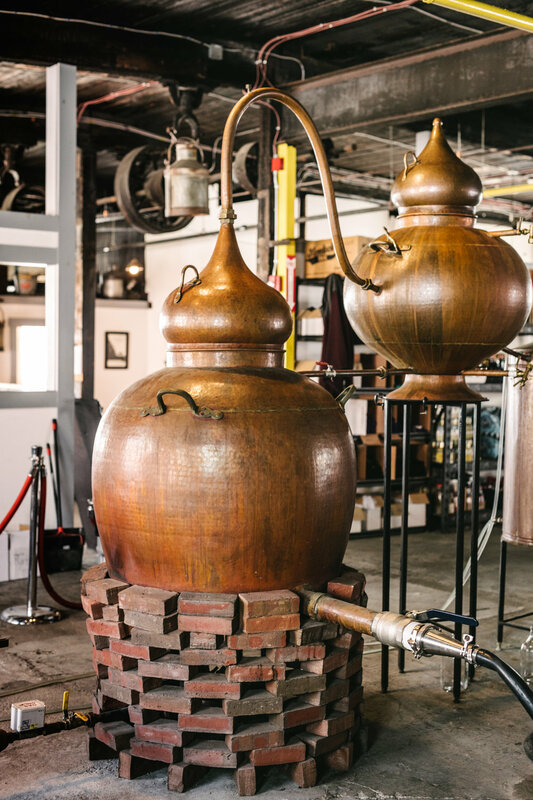 These values are even in their name, which refers to the distance between the vaporization and condensation of distilling spirits, as well as the distance between where something is made and where it’s consumed, Kurtzman says. “That goes back to our push to be as local and organic as possible,” he says. Short Path occupies an important place on a still-small-but-growing list of craft distilleries in Massachusetts. According to the Massachusetts Department of Agricultural Resources, six distilleries call Greater Boston home—though that number is sure to climb amid a regulatory climate that is becoming a bit friendlier to alcohol makers. Even still, the more difficult licensing process puts craft distilling “a couple years behind craft brewing,” Kurtzman says. This has created collaboration in Boston’s cozy spirits scene, where barrel-swapping and idea-sharing are common. Kurtzman walks me to the very back of the production floor to show me a large, plastic grain silo being assembled. It was Night Shift Brewing’s first fermentation tank before serving the same purpose at Short Path. Soon, it will be full of barley, the all-important base ingredient for the distillery’s first batches of whiskey—the spirit that sparked the founders’ passion for making and serving alcohol to friends and neighbors. Vats and hoses litter the floor of the very-much-in-progress fermentation room. But where I see a royal mess, Short Path’s co-founder sees a beautiful future. Available at 80 bars and liquor stores around Boston, including Vino Divino, Wink & Nod and Needham Center Fine Wines. Shake all ingredients in a tin. Strain into a martini glass, and finish with an orange twist garnish. Pour gin and triple sec over a slice of orange peel in a shaker tin. Muddle the orange peel before adding bitters and ice to tin. Shake and strain the mixture into a coupe glass and garnish with an orange peel.